She kept it a secret for most of her life, fearing she would be treated differently. But now, Lauren Taylor is more candid about being autistic. This summer, she was able to open up about her challenges and connect with those who have had similar experiences. 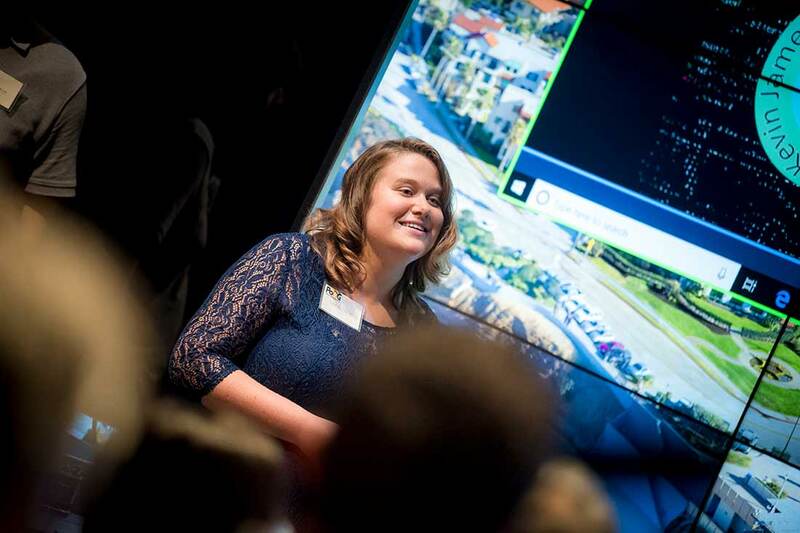 Taylor, an incoming freshman, was one of 25 interns who took part in a new program at UC San Diego that taps into the talents of autistic youth to help develop video game therapies for those who have cognitive disorders. For incoming UC San Diego freshman Lauren Taylor, the program has offered an opportunity to open up about being autistic and connect with those who have had similar experiences. For those on the autism spectrum, getting hired for a job can be a daunting step, especially the interview process. Often, social anxiety and a preference for routine make it difficult for autistic people to communicate their skills and make big life transitions. UC San Diego neuroscientist Leanne Chukoskie recognized an opportunity to help local autistic young adults—an underrepresented population in the STEM field—build their social skills and professional resume. With support from the San Diego Foundation and the Legler Benbough Foundation, she established a unique summer internship program through the Power of Neurogaming Center (PoNG) at UC San Diego’s Qualcomm Institute. 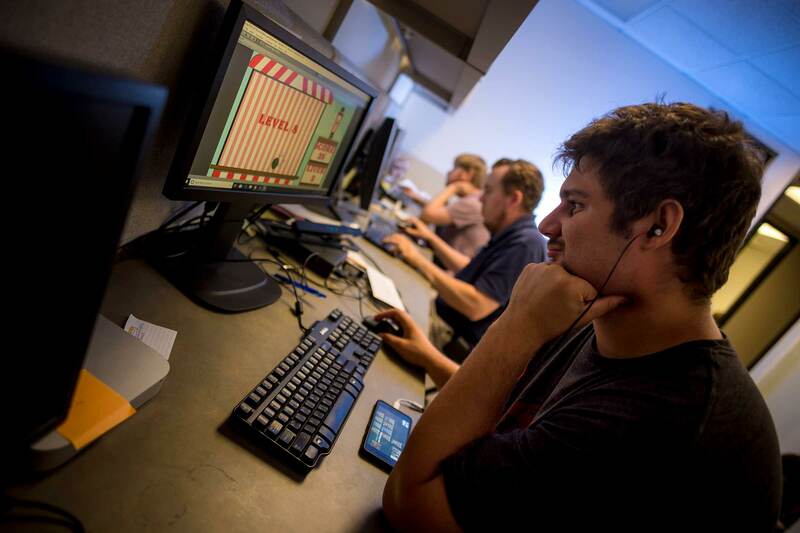 For eight weeks, the interns—90 percent of whom are on the autism spectrum—worked collaboratively to design, code and project manage numerous video games that can serve as therapies for those with autism, dementia and other conditions. Grouped in teams, the interns collaborated on “neurogames,” or video games that are intended to improve cognitive functions such as attention and balance. Using eye-tracking technology, balance boards and EEG (electroencephalogram) sensors, participants can physiologically connect to the game, playing with their eyes and learning to activate alpha brain waves to promote a sense of calm. These skills are crucial for those affected by autism and attention deficit disorder, and video games can be an engaging way to have fun while encouraging mastery. Corey Pritts, an intern artist, led the design for a game that will help improve navigation and wayfinding skills for those with dementia. Similar to Pokémon Go, users are invited to travel to a series of flags that pop up on their smartphone, and a mascot helps them find their original location. In addition to developing transferable skills for a future career, the interns were paired with undergraduate students and recent graduates from UC San Diego and other local universities for one-on-one mentorship. Together, they worked on emotional intelligence and discussed the unwritten rules of a professional work environment, from giving constructive criticism to working collaboratively. The laboratory is considered to be a safe space for interns to practice, make mistakes, get feedback and learn. 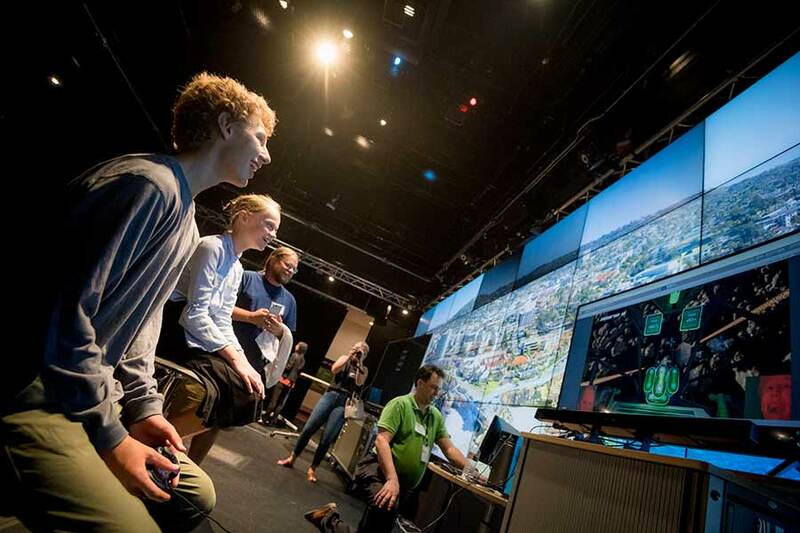 At the end of the summer, interns had the chance to conduct an interactive showcase of their research and resulting video games to the campus and local community. Coding intern Alex Buchanan led his team in creating a game called “Equilibrium” that was developed to improve balance. Using a balance board, similar to a Wii Fit board, the player would lean back and forth, collecting objects as they progress toward the end as quickly as possible. Although Chukoskie has invited young adults on the autism spectrum to work in her lab in the past, this is the first time she has been able to organize a full program to help build the confidence and skills of a community whose abilities and contributions can be overlooked.